One frequently reads in Catholic media judgments like The Catholic faith and libertarianism are incompatible or No one can be both a Catholic and a libertarian at the same time. A figure often presented as libertarian is Ayn Rand. As if Ayn Rand represents the only kind of libertarianism there is. I would make haste to reject, heartily, Rand’s moral philosophy. Her moral thinking is far too self-centered on one level, and far too will-centered and nihilistic on another. She does not give due attention to a humane view of reason, nor to the debt each of us owes to the communities that nourished us and will be needed to nourish our children in the future. Far more than she recognizes, humans are by nature political animals and social beings. We cannot live together as naked, aggressive, self-centered wills. Liberty itself is a social project. America, at least, could not have been built as an individualistic project. “United we stand, divided we fall.” The project of settling, building up, and defending this land was communitarian. George III did not have the wit to see the political and cultural fissures among the American colonies. He could have divided them along the banks of the Hudson River, splitting New England off from the rest. He could have separated them along the borders of the Keystone State, for numerous Quakers of Pennsylvania opposed war-fighting even in self-defense. He could have divided them as North and South. Instead, by his clumsy strategy and tactics he failed to separate them. Against the parochial tendencies and biases of some, he united them. Achieving a culture of human liberty is a social and political project of the most demanding order. Without that difficult achievement, there would not have been, there could not have been, a United States. Indeed, Abraham Lincoln conceived even of that most bloody of wars until that time, the Civil War, as a war “to save the Union.” He could conceive of no other way to defeat slavery, and finally to see it abolished, than to keep the Union together. 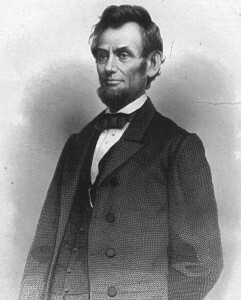 In economic policy, Abraham Lincoln would in many ways qualify today as a libertarian. His Homestead Act (1862) protected the independence of farmers from government management of the agricultural sector. The Land-Grant College Act (1862) put in practice the insight that the cause of wealth is ideas, knowledge, invention, especially practical knowledge. Every patent and copyright is awarded (he well knew, he took out two patents himself) for “reducing to practice” what otherwise might just prove no more than a bright idea that doesn’t work. He thereby opened up a path to prosperity, even great wealth, to poor men without landed property or material capital. There are many brands of libertarians, many different philosophies. One of my favorites is Charles Murray, who stresses families, faith, and cooperative work, and the hard learning of crucial virtues and habits, which undergird free, virtuous, and prosperous societies. Murray does not concentrate on the individual. Instead, he concentrates on concentric communities, and communities of communities. One may distinguish three different forms of libertarianism: economic, political, and moral. The first stresses the liberation of economic activity from state control. 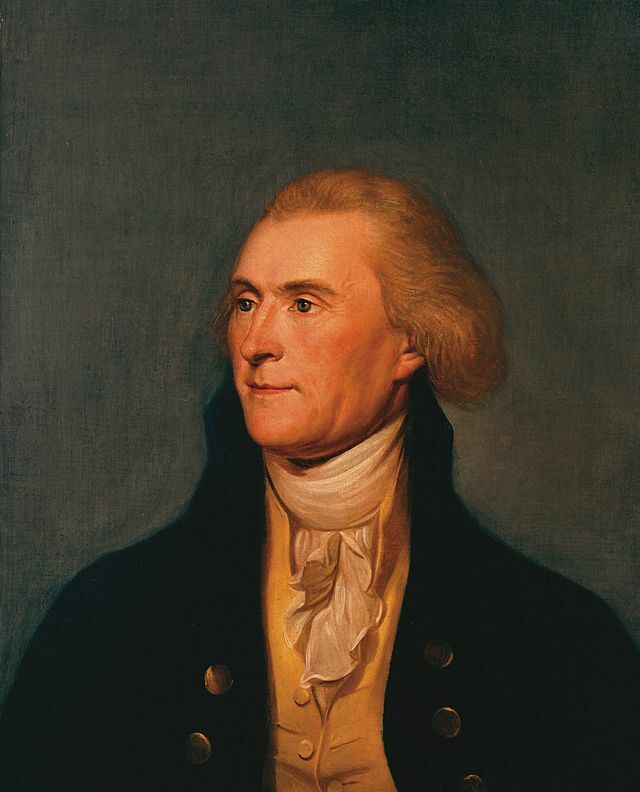 Thomas Jefferson was a major proponent of this view, for example in his First Inaugural. 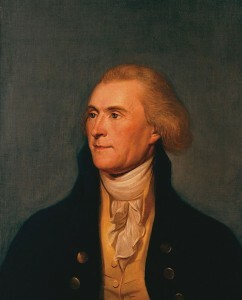 The second, in its Burkean form, seeks to protect “the little platoons” of community life and, in its American form, defends the space of mediating structures (mediating, that is, between the individual and the Leviathan state), federalism, the rule of law, limited government, and rigorous protection of natural rights.Moral libertarianism divides into two schools. One sets individual liberties at the center of its philosophy, and emphasizes that every individual is charged with weighing his own moral principles, and is free to follow them all the way until they trespass on the rights of another. In short form, a serious, well-thought-out, moral laissez-faire. Such individualism faces two lines of serious criticism. First, it is too narrow in its individualism, which fails to see the nature of each individual as a social animal, a political animal, shaped by an extended family and a long social history, not to mention the “architectonic” character of the polis that has inculcated in him his mores, passions, and longings. Second, the individualist’s view of morality is simplistic – atomistic, nonhistorical, lacking in requisite self-awareness, un-self-critical, too self-satisfied. What such an individual imagines is unique to himself is often thought by others as boringly true to a type. The other school of moral libertarians, however, builds on the recognition that the human person is expected to practice self-government over his or her animal instincts, and to direct them into a full, life-enhancing character, as a noble and well-integrated person. A truly free person. What good would it do us over many generations to sacrifice much blood and treasure, in order merely to build a free polity and a free economy, if in the end we live like pigs? I, for one, reject as morally repulsive the first moral philosophy 0f Nietzschean naked will and narrow individualism. The second I find compatible with the thought of Aristotle, Cicero, Seneca, the American founders, and the Catholic Whig tradition of liberty and moral virtue of St. Thomas Aquinas, Blessed John Henry Newman, John Courtney Murray, and St. John Paul the Great.